HIM departments stand front and center in the constant struggle to keep hospital finances solvent. In a seemingly never-ending battle, healthcare organizations continue to search for ways to improve revenue flow. Often, revenue loss occurs in unforeseen areas, among them HIM and the department’s many components. Billy K. Richburg, MS, FHFMA, director of government programs for the revenue cycle technologies business segment of MedAssets, highlights specific phases in the revenue cycle, including patient eligibility, where leaks can occur. “Far too many patients are designated uninsured, underinsured, or charity when providers don’t use an eligibility system and depend on the insurance information provided by the patients themselves,” he says. Another area of concern is post-acute care transfers, according to Richburg. “A patient discharged to one of several care facilities will be paid as a transfer, provided the patient is admitted to the inpatient care venue on the same day—or to home health within three days—and with exactly the same diagnosis,” he explains. “Providers are entitled to the full diagnosis-related group [DRG] payment if they have a mechanism in place to determine when any of those conditions are not met.” However, if that is not the case, then only transfer or partial payment applies, and the hospital loses revenue. Additionally, providers must practice due diligence and cannot assume payers will always be accurate when paying claims. Because many providers do not have contract management systems to verify how much they should receive, they are unable to compare that amount with their actual payments. Richburg also notes that “many providers don’t have a denials management system, so they are at the mercy of the payers when claims are denied, whether for technical reasons or for lack of medical necessity. Further, many of those providers that do have a denials management system don’t use it in conjunction with a contract management system, limiting them to identify only entire claims or line items that are denied. “A denials management system alone cannot identify underpayments so long as some sort of payment is received. Think of this as a silent denial,” he adds. Richburg believes it is imperative that HIM personnel understand how vital their role is in the revenue cycle. John Dugan, a partner and revenue performance management practice leader at PricewaterhouseCoopers, points to ongoing preparation for the October 2013 deadline for ICD-10 implementation as another reason facilities may not be paying enough attention to areas where revenue is being lost. “For example, with ICD-10 planning, hospitals may not take into account how much money is lost to obtaining clarification from physicians in order to improve the DRG case mix,” he says. Dugan notes that the Recovery Audit Contractor (RAC) program, which is designed to recover improperly paid Medicare payments to providers, has also placed a strain on HIM functions. For this reason, providers must grapple with producing a large amount of medical records. Moreover, providers are unable to bill if they do not issue an advance beneficiary notice of noncoverage (ABN), a Medicare requirement. The ABN informs patients in advance of receiving care if Medicare will not pay for the service and allows patients to refuse the service or pay for it themselves. If an ABN is not issued, then payment must be refunded, adversely affecting the provider both in lost revenue and additional accounting costs. For example, over the last three decades, many hospital functions have emerged that no longer support providers’ primary goals of care and survival. Richburg believes administrators should review these positions and clinicians to ensure best practices in workforce management. Patrick Gardner, director of product management for McKesson’s Enterprise Imaging Group, identifies cost-saving opportunities as hospitals and providers adopt EMRs. Gardner contrasts this transformation with the paper-based process, which he describes as much more labor intensive and time and space consuming. Gardner notes that the transition to electronic records also provides several different levels of backup. “Countless charts were lost in Hurricane Katrina, for instance. Electronic records are easily recoverable,” he says, adding that because electronic records are episodic based, hospitals can maintain a record of each episode to better shield themselves from costly litigation. By implementing electronic processes, providers expect to improve workflow. Doctors can see more patients, and healthcare organizations are able to reduce full-time equivalents (FTEs) in coding and medical records, Gardner says. For example, the HIM department at Tuomey Healthcare, a 301-bed hospital in Sumter, S.C., had little room to maneuver thanks to the volume of paper records that filled its floor. As a result, it was necessary to rent off-site storage space (at a cost of $24,000 per year), which made the records difficult to access. Adding to the inconvenience, whenever physicians needed to access records to complete their deficiencies, they had to go to the medical records office and rifle through charts. This led to a physician delinquency rate of approximately 95%, resulting in high accounts receivable days. 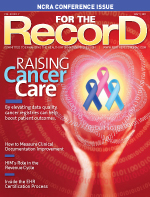 Because physicians would often remove charts from the HIM floor, the availability of comprehensive patient records quickly became a concern, making it a challenge for the department to provide complete legal medical records to requestors. By implementing technology that allowed for medical record scanning, production, and storage as well as physician access, Tuomey reduced delinquency rates to between 2% and 5%, as the system allowed for physicians to complete their deficiencies from any location. Furthermore, workflow improvements enabled the hospital to eliminate five FTEs, which created a savings of $155,000 per year. By adding an information-release module, Tuomey was able to streamline that process and realize an additional savings of $80,000 annually. Experts emphasize that for hospitals to begin recapturing lost revenue, leadership must examine and recognize the model that is currently in place, knowing that as more healthcare organizations shift to electronic systems, the model that now exists may not be what is needed in the future. As such, leaders must be open to taking a long-range view—particularly when it comes to investments such as HIT—to gain a strong economic foothold. — Susan Chapman is a Los Angeles-based writer and author of the book My Life Is Magic, which is due to be released later this year.